Annual event starts at 6:00 p.m. with Griffen Outhouse bobblehead gift available for pick-up. 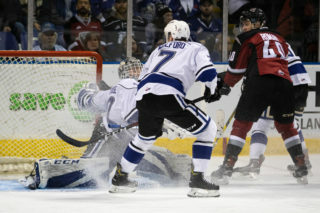 Victoria, BC – The Victoria Royals today announced details for their annual Ticket Package Pick-Up Night that will occur on Thursday, September 13th at Gate 1 of the Save-On-Foods Memorial Centre, beginning at 6:00 p.m. The event is exclusive to Royals’ Season Ticket, Half-Season Ticket, and Great Eight Fan Pack holders. A limited amount of complimentary appetizers and non-alcoholic beverages will be available during the event. Following the food and drink, guests will be introduced to the 2018-19 edition of the Victoria Royals. Cliff LeQuesne from 100.3 The Q!’s morning show, as well as the Royals’ public address announcer, will be the evening’s Master of Ceremonies. General Manager Cameron Hope and Head Coach Dan Price will also address ticket holders in advance of the 2018-19 WHL season. 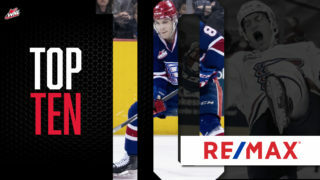 This event will also be the first opportunity for all ticket pack holders to pick up their limited edition seven-inch Griffen Outhouse bobblehead gift. Ticket holders unable to attend the event on Thursday are able to pick up their ticket packages from the Select Your Tickets box office on the morning of Friday, September 14th. 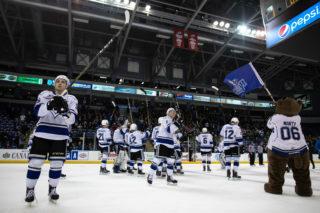 Box office hours are 9:30 a.m. to 5:30 p.m. Those that cannot make it down to Select Your Tickets and would like to make other arrangements for booklet pick-up are encouraged to contact the Royals’ ticketing office by calling 250-220-7889 or by emailing tickets@victoriaroyals.com. All ticket holders will also receive their 2018-19 editions of the “King Card” and the “Gift & Giveaway Card.” The King Card provides Royals’ fans with exclusive discounts at over 10 new and returning businesses, such as Brady’s Fish & Chips, Baggins Shoes and The Cookie Guy. Meanwhile the Gift & Giveaway card can be shown at five specific 2018-19 regular season home games for early access to game night giveaway items. 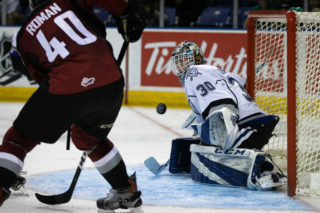 Victoria wraps up their pre-season this weekend as a member of the Vancouver Giants’ pre-season tournament. 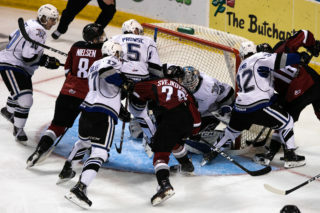 The Royals will first battle the Giants on Friday night at 7:00 p.m., before playing the Everett Silvertips on Saturday at 3:00 p.m. The club will conclude their pre-season action Sunday afternoon against the Prince George Cougars at 12:00 p.m. All three contests will be played the Langley Events Centre. The Royals kick off the 2018-19 regular season at home against Prince George on Friday, September 21st. 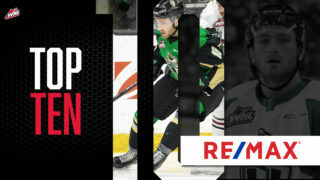 Puck drop for the game is slated for 7:05 p.m. Tickets can be purchased in person at the Select Your Tickets box office, over the phone by calling 250-220-7777, or online at www.selectyourtickets.com.